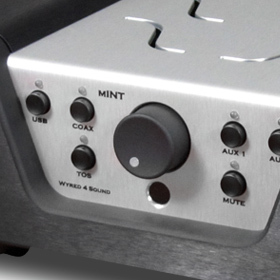 Sathyan said: In the mINT, Wyred 4 Sound has packed into a small package surprising amounts of features and quality. From the variety of input (and output) options to the room-filling amplification, I can imagine few scenarios in which the mINT could not find a place. The gist: Functional and small, but with good sound, too.